There is a rich history behind Navy Strength gin, but there are precious few that are actually sold in the United States. We’ve been not so patiently waiting for Plymouth’s Navy Strength Gin to hit American shores, so we were delighted when we heard that Leopold Bros. was jumping on the boat and doing a Navy Strength of their own. Leopold’s is the maker of one of our favorite American Gins, Leopold’s American Small Batch Gin, which is made in a style that is softer and less juniper-forward than its London Dry cousins. For their Navy Strength, Leopold’s didn’t just boost the proof on their Small Batch Gin, they went back to the drawing board and went in an entirely different direction using double the amount of juniper, distilled bergamot, and stronger coriander and cardamon. 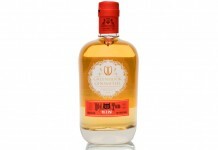 The result is an intense gin that is a bipolar opposite of their Small Batch Gin. Leopold’s Navy Strength American Gin ($39, 57% / 114 proof) is anything but subtle on the nose. Whereas the small batch gin lures you in with soft, supple notes, the Navy Strength declares itself from the first whiff. 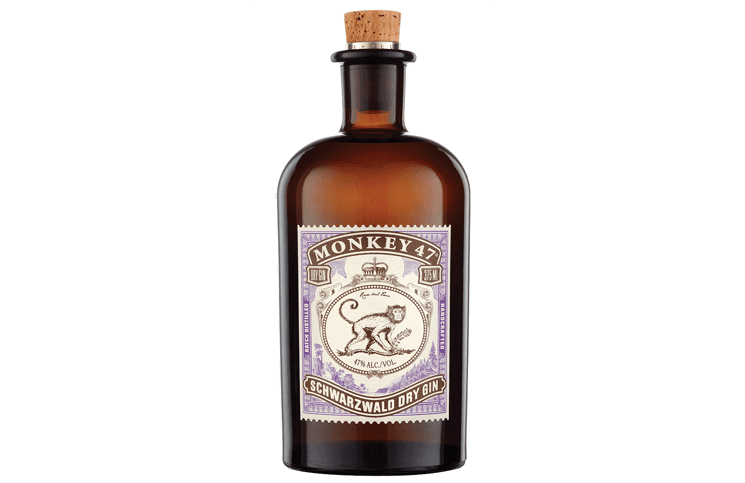 The fact that Leopold’s used double the juniper with this gin is extremely apparent on the nose, which is extremely floral. Even at this high proof the nose shows off Todd Leopold’s impecable distilling, and while strong, isn’t overly vapory. 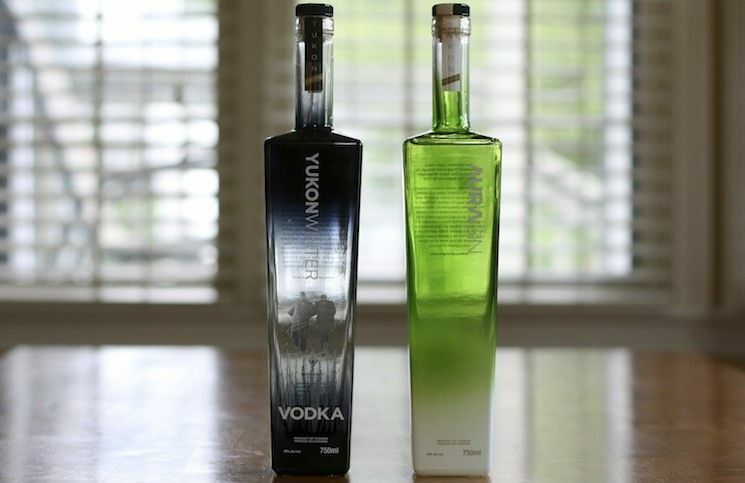 The entry is intensely floral with a monster blast of bergamot that slams into you from the moment it hits your palate. Underneath the bergamot is strong juniper which comes off more floral than spicy. In the mid palate, clear orris root emerges along with coriander and cardamom. It can sometimes be difficult to pick out the individual components in a gin, but here they line up single file, each extremely clear and present. The spice in the mid palate helps transition the gin from its intensely floral beginnings, but it’s impossible to shake the overbearingness of the bergamot. The finish is long and very flavorful with the bergamot, juniper, and cardamom sticking around on the palate for a long time. 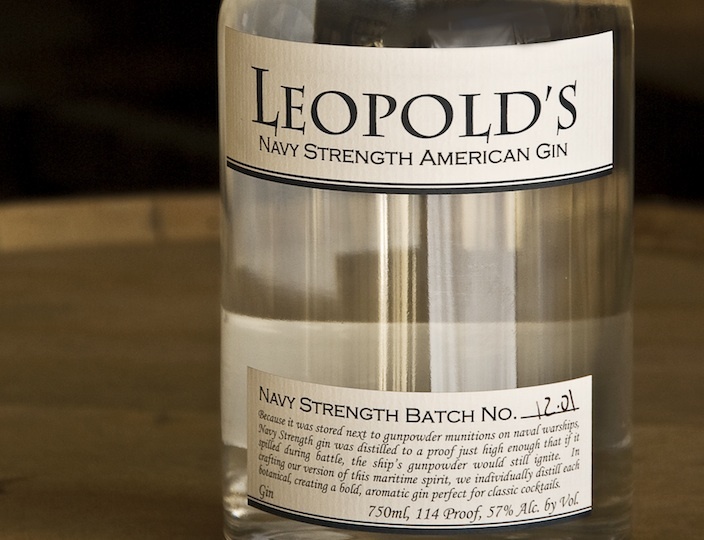 Leopold’s Navy Strength American Gin is an extremely intense gin. Sipped neat, it’s completely overwhelming. It’s hard to get past the blast you get from the bergamot, the juniper, and the cardamom, and the gin puts you in a defensive mode rather than a space where you want to dig and explore. Mixing with the gin also proved to be difficult. The floral notes are so strong, they took over when we used the Leopold’s Navy Strength in a Martini, didn’t play well in a Negroni and was way too much for an Aviation. The gin did, however, do extremely well when mixed with tonic water, and showed best with Schweppes Indian Tonic. It’s a little bit of a head scratcher why Leopold’s went back to the drawing board for this gin. Their Small Batch Gin is so exceptional with such finesse that we would have preferred they bring that mix into the higher proof world of Navy Strength. There’s no doubt that the craftsmanship of this gin is solid, but we feel that Todd Leopold went a little too far with this gin. It’s a classic example of “if it ain’t broke, don’t fix it” and while we respect the effort, we feel this gin is only going to appeal to a very specific audience looking for extremely strong floral and spice notes in their gin glass.